MAGCO DRUM SWITCH is used to control squirrel cage motor for Forward - Reverse operation . The contacts are rated for 60 A and operating on AC 415 V, 3 Phase, 50 Hz. 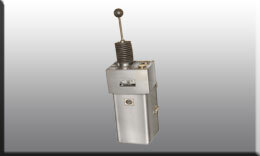 Heavy duty drum switches are also available.